Add a white filled layer under your pencil drawing layer. 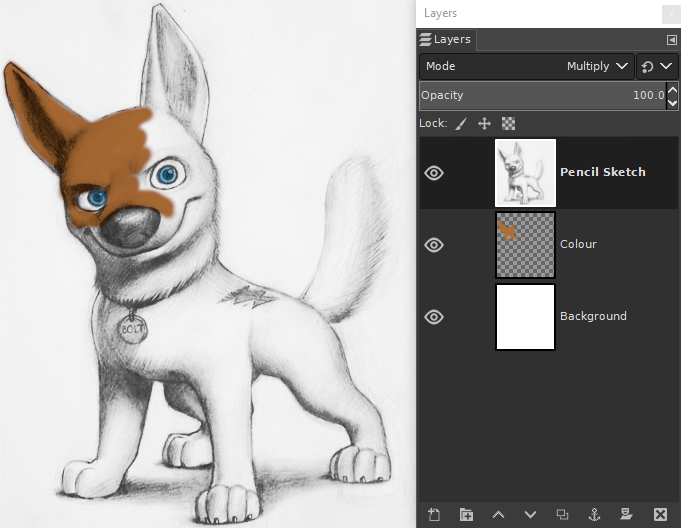 Set the blend mode of the pencil sketch layer to "Multiply"
Add a transparent layer between those two layers. Paint the colour on the transparent layer.